Learn about the green backyard giant, praying mantis, with this hands-on Praying Mantis Mansion by Backyard Safari. 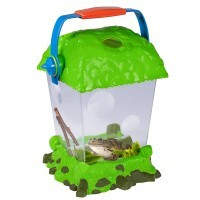 Bug habitat? 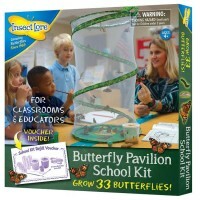 How about bug mansion! 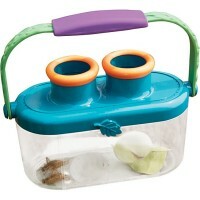 This Backyard Safari bug house is not for your average tiny teeny creepy crawler. 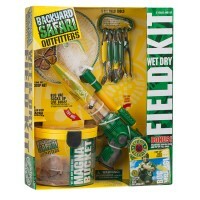 This bug habitat is for the king of the backyard insect world, T-Rex of those creepy crawlers - praying mantis! 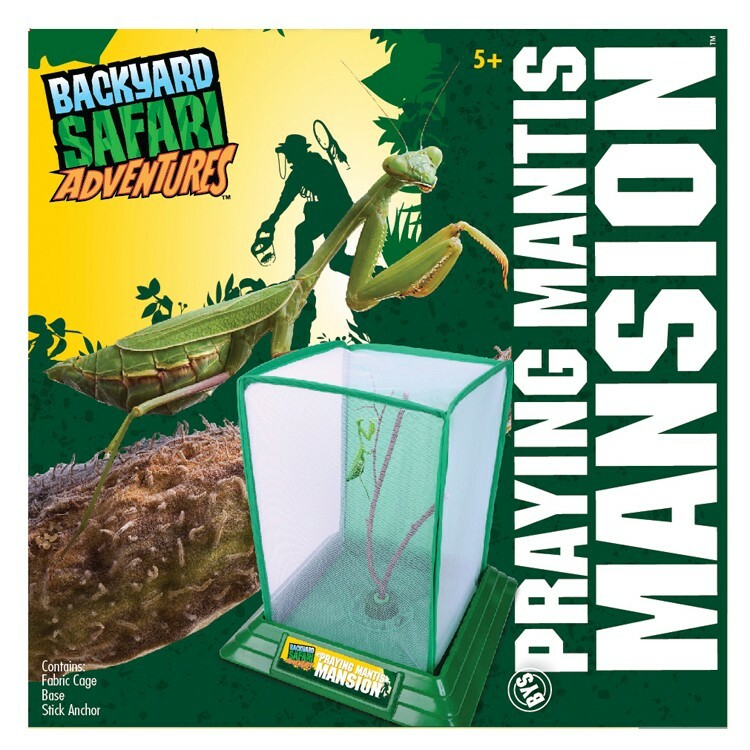 Praying Mantis Mansion Bug Habitat is a luxury suite for your backyard insect predator that will let it - be comfortable and you - view and learn. 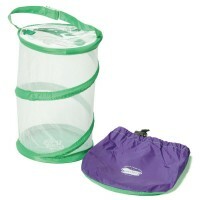 This praying mantis habitat is a decent size collapsable bug house with mesh walls, a stick anchor and a zipper closing backside panel. 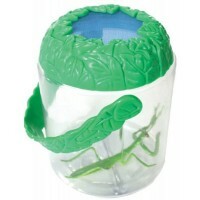 The bug habitat expands to 8 x 8 x 11.5 inches to provide a spacious living quarter for a praying mantis. 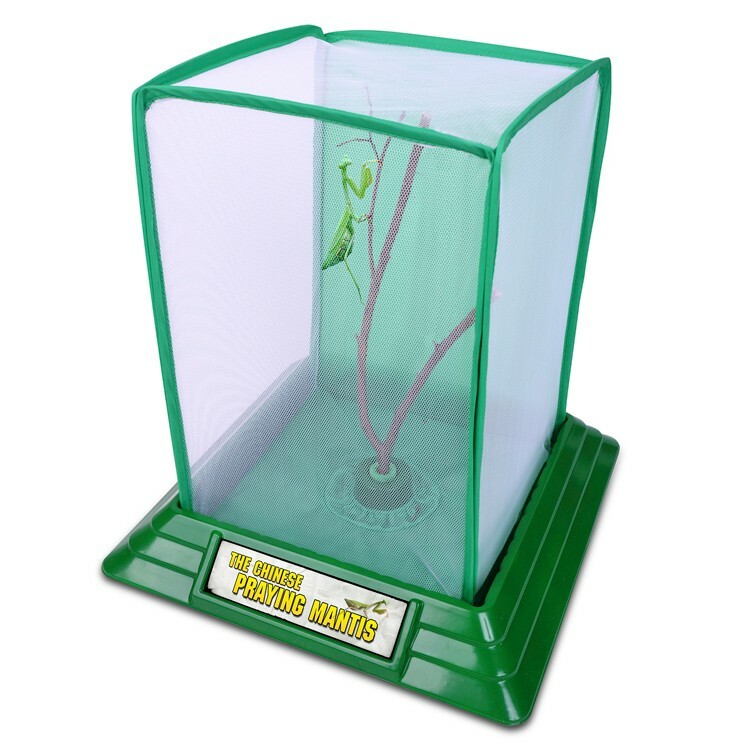 Catch the praying mantis in the field, safely transport it to the Praying Mantis Mansion Bug Habitat, feed the insect with other bugs, and observe its eating, walking, and living habits. 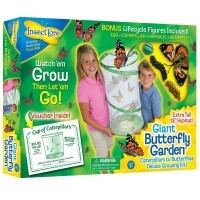 The entire family will be fascinated by these amazingly ferocious (towards other insects) and graciously built backyard giant crawler. 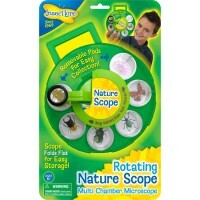 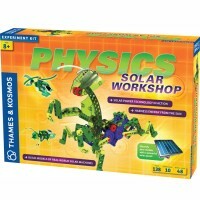 This nature exploration toy from Educational Toys Planet is perfect for the home and classroom natural science learning. 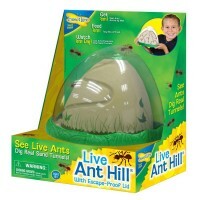 Dimensions of package 2.38" x 12.25" x 12"
Write your own review of Praying Mantis Mansion Bug Habitat.